This is part of a series: Learning from Large Cru Movements- a look at 8 of the largest Cru movements in the U.S. Read the Series intro here. Bob Schwahn is the Director. He’s been on staff 19 years. 15 years at MSU (13 of those as Director). Came to Christ at MSU. What contributed to THAT growth (of your core)? Are there students involved in our ministry who are really helping students have a ministry? What do staff focus on? How do I take those things off their plate? And what do we need to say no to (aggressively)? Everything just operates in areas – each area/dorm does their own prayer, socials, outreach, etc. 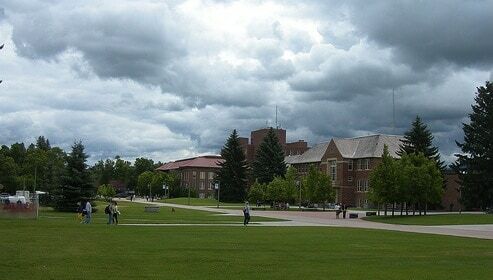 What are your biggest takeaways from learning about the Cru ministry at Montana State? The team leadership idea is great, spreading out the responsibility of teaching and following up everyone allows the small group to be more of a movement in itself and keeps the leaders from burnIng out or letting people fall through the cracks. Great post! I agree – definitely makes the movement more scaleable.